Episode #134 Happy Birthday SWTOR! Join Jason and Heather as they share their experiences in SWTOR. This week we discuss the Three Year Anniversary promotion going on ingame. Corellian Run Radio is also having a giveaway. 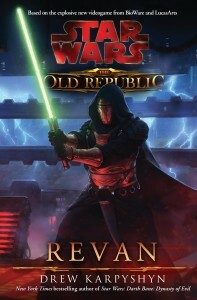 We will be giving away a copy of the Revan book. Speaking of Revan, the expansion, Shadow of Revan is live. The official release was December 9th. Heather and I talk about a bit about our experiences in the new content. Enter for a chance to win a copy of the book, Revan. Click on the RaffleCopter link to enter the contest. You will just need an email address and a discussion topic on something in SWTOR you would like us to talk about. 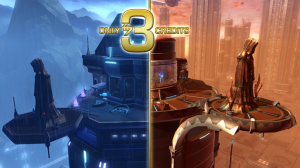 Get Dromund Kaas or Coruscant Strongholds for 3 credits.